Thanks for your reply @Epyon. I was looking at LoRaWan for industrial monitoring (As mentioned on Semtech webage, it is suitable for this use cases) but i was interested to calculate the communication latency of lorawan to find out suitable communication intervals. How can I calculate it if you have any idea? Secondly, the latency you referred in your last comment is only from the end node to gateway?not to the LoRa communication server? It depends on what you mean by latency. If you mean the delay between the emission of a LoRaWAN message by an end node and its reception by your application, then it’s generally < 5s. If you mean the average delay between the emission of downlink by your application and the reception by your end node, then it depends on how often you send uplinks in the first place. As a rule of thumb, you can’t expect to do much better than 15 minutes. In a nutshell, there’s no “communication” in LoRaWAN like you would find on an IP network. There are messages, but no connection. Latency and duty cycle are not really related anyway. However, some class A devices send uplink messages to poll for downlink data periodically, and by this polling exceeding the duty cycle or fair access policy. This need is removed when Class B and C become generally available, not only in TTN but also in end device stacks. Class B is going to be a bit challenging though, but definitely doable on GPS time synced gateways. So basically we don’t go from formulating the fair access policy to dropping traffic right away. We’re only at step 2 and 3 of the above. @Gig If you mean the delay between the emission of a LoRaWAN message by an end node and its reception by your application, then it’s generally < 5s. Yes, I exactly mean this but how is it possible to calculate this precisely? It may serve the two fold purpose. So would running ttnmapper for a few weeks at higher than fair use rates be generally allowed as R&D for us to map the coverage of the gateways we are installing by car? Both depend on the spreading factor (SF) you use. If you have good reception and are at SF7, you can transmit your message in tens of milliseconds to your gateway. If you have bad reception and are at SF12, it can take up to 1,2 seconds. At SF7 you will be able to send more messages because each message takes up less airtime. If you keep the messages short, you can also send more. See this thread for airtime calculation. The transit time from the gateway to your application completely depends on the solution you choose. On TTN and with a gateway connected through wired Ethernet this will only take some tens of milliseconds (at current load levels). If the gateway uses a slow cellular connection this delay will of course add up. If suddenly tens of thousands of people start using TTN, it will probably slow down too. Remember that the TTN service is ‘best effort’. In a commercial setting you will probably sign (and pay) SLA’s with commercial providers which will indicate the maximum latency between gateway and your application. 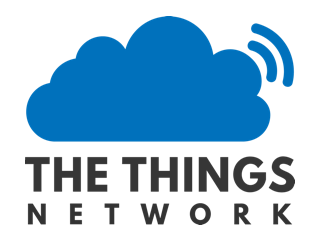 I agree with the wording of @Gig that LoRaWAN is not for real time communication but for (short) message sending. Like you would send an e-mail or a text message. Latency isn’t the factor determining the quality of the service here, as long as the message gets delivered in a timely fashion. Thanks very much @johan for the explanation. Can we fairly estimate this kind of delay? Furthermore, It is trivial that duty cycle would impact the energy consumption in the uploaded image. 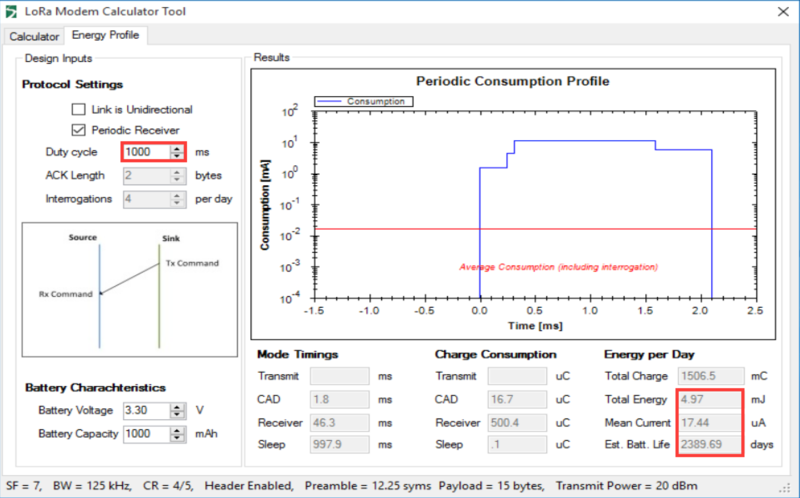 But could you please explain, what is the relationship between used duty cycle in the LoRa calculator and Energy calculations in the right bottom of the screenshot?Formula to calculate this consumption? I’m not familiar with that calculator and I can’t think of a reason other than that the device polls every x ms for data, within the set duty cycle, so the duty cycle would drive the polling interval and therefore energy consumption. But that’s just guessing. @arjanvanb Can you provide a similar detailed list of restrictions/specifications that TTN enforces on US915 networks ? I ask because I presume some duty cycle related specifications would be different for US915. There is no duty cycle in US915, but there is a so-called “dwell time”. If you keep individual transmissions under 400ms, there are no other legal restrictions. TTN’s fair access policy still applies, but this is currently not enforced in any way. For mapping and any R&D, any duty cycle regulations for one’s region would still apply as usual. The Fair Access Policy is a daily maximum of 30 seconds. As even a zero byte application payload would be fine for mapping, you could send 647 packets in SF7, with a delay of 4.6 seconds† (assuming a 1% maximum duty cycle). So, you could be mapping for almost an hour without hitting the Fair Access Policy either. Even more, it’s not enforced yet. Fair Access Policy isn’t enforced yet on the public servers, nothing to disable on private networks either. When a ‘Link Check commands’ is used, the TTN send an Downlink with empty payload. Is this downlink is count in restriction ( 10 downlink per day ) ? All downlinks count, also downlinks sent in response to requests sent by the device. This includes ACKs to confirmed uplinks and responses to MAC requests such as LinkCheck for example. If you keep individual transmissions under 400ms, there are no other legal restrictions. In Brazil we use the AU915, which is quite similiar to the US915. Most recent regulation stands that for bandwiths less than 250kHz the transmision should hop through at least 35 different frequencies and the mean dwell time should be under 400ms within a 14s interval. For bandwiths greater or equlas to 250kHz it should hop through at least 17 different frequencies and the mean dwell time should be under 400ms within a 7s interval. Is this the same restriction applied in the USA by FCC15? Or does this 14s (or 7s) window actually defines a duty cycle, also? Anyway, this clearly limits the SF usage, prohibiting the usage of SF12/BW125 since the 1byte payload message would take about 600ms. Is this correct? @htdvisser did such a great job explaining the duty cycle here (https://www.thethingsnetwork.org/docs/lorawan/duty-cycle.html), I would like to have a clear picture about those other restrictions as well. Could you share (a link to) the official documents here? P.S. BTW, for Russia, freq. plan and the reference to the regulatory document are incorrect.